Building relationships in Real Estate since 1996, Joanne is a forward thinking entrepreneur. She is a true professional with an aggressive marketing plan and negotiating strategy, blended with a warm personal style. Her passion for learning and creative problem solving inspires her team. 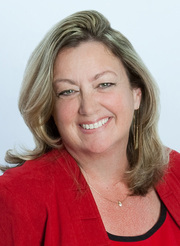 A New York State Licensed Associate Real Estate Broker, Joanne has personally invested in the local Real Estate market. She has obtained designations from the National Association of REALTORS® including Resort and Second Home Property Specialist (RSPS), Senior Real Estate Specialist (SRES), and Certified Buyers Representative (CBR). For real time market information in your neighborhood or information on buying, selling or investing, please click www.JoanneWells.com.